Built 1918-1927. Opened 30 Nov 1927. 1039 seats. Named in honour of the Colombian actor and playwright, Enrique Buenaventura (1925-2003). 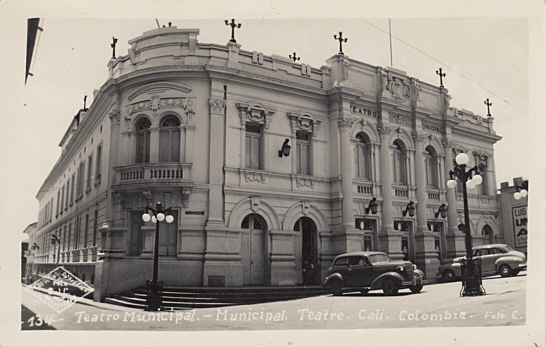 Front Text: "Teatro municipal.- Municipal Teatre. Cali. Columbia"